Barnstaple is the nearest Town to Braunton at just 5.7 miles away. 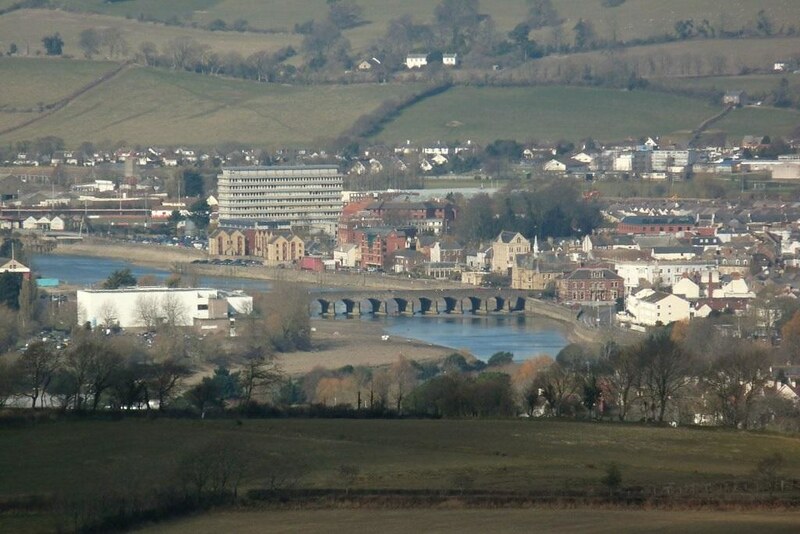 Barnstaple North Devon was built alongside the River Taw. In medieval times it was an important trading centre exporting wool and Brannam’s pottery from The Great Quay. North Devon still has that cut off feel with the town remaining largely unchanged in 150 years. This is because it wasn’t until the 1980’s that a major road replaced the narrow lanes and motorways being built up and down the country are unheard of in North Devon. The Pannier Market and Butchers Row opened in 1855 and people travelled from all over the country to sell their produce from it’s rural communities. Today you can still buy local goods and crafts and enjoy a great atmosphere and have coffee or lunch . There is a small shopping centre but the streets have character and many business’s have survived the out of town and on line shopping trends. Barnstaple has some great events on throughout the year including festivals and history tours. There are some wonderful restaurants along the Strand a very enjoyable traffic free zone to stroll or sit and observe great views of the estuary. Enjoy leisure and recreational space like The Quay, or Rock Park in Barnstaple combined with a spot of shopping and a delicious lunch at one of the many cafes, bars and restaurants. Cycling from here is the perfect way to see some of the best nature in North Devon along the Tarka Trail, next to the Estuary and then onto the Quay next to The Strand in Barnstaple you will find plenty of racks to chain up your cycle. There is a great bus service with a stop right near here. Stagecoach run the no 21 every 15 minutes,and will take you to Barnstaple plus a day ticket that can be used to travel between many towns and villages like Ilfracombe or Bideford.